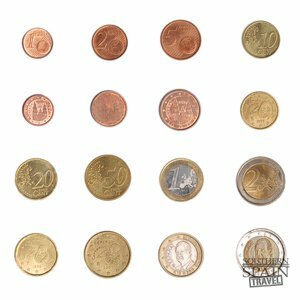 Spain Currency is the Euro, like many other European countries. This makes it extremely easy if you are visiting several countries during your trip. 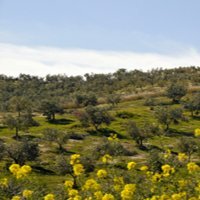 If you wanted to take a quick trip to Portugal from Southern Spain there is no worry about exchanging the Euro for local currency. Spain went to the Euro in 2002, I remember specifically because I did my study abroad the following year and initially Spaniards were not happy with the move to the Euro. The main reason being everything went up in price, all the stores just rounded up when they did the conversion. I believe there is less resistance today, however, as they have gotten use to it over time. 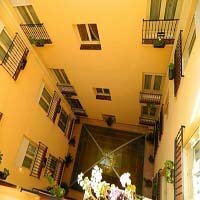 Casas de Cambio (exchange houses) – These are places you can take your home country’s currency and exchange it for the Euro. 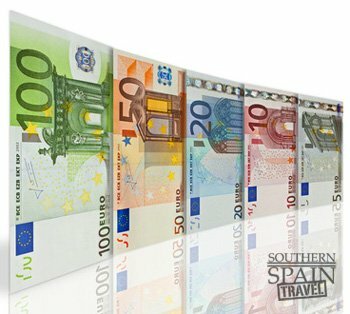 Many large hotels, train stations, and airports also have places to exchange Spain currency. 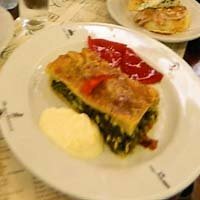 Credit Cards – By far the best way to spend your money in Spain in my opinion. Credits cards for the most part are safe if they get stolen you can cancel them and dispute any charges put against them. Many credit cards do not charge extra fees for using your card in Spain making it the best value. Most places you go will accept a credit card with some exceptions. 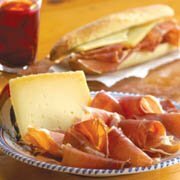 Debit cards – The most convenient way to get money while in Spain as there are many ATM’s throughout Spain. A couple of tips for using debit cards: check with your bank to see what the fees are because you can get charged a high service fee for using your debit card. Since you are going to pay a transaction fee per transaction when you use an ATM machine take out the max you can which currently is around $300 Euros. Travelers’ checks – While much safer than cash they are quickly going the way of typewriters, out of date. Travelers checks are an old way of doing business and going forward you will find it more and more difficult to use them. Exchanging before you go – I highly recommend this method also. I would not exchange 2 weeks’ worth of spending money as there is too much risk for it to be stolen. I would recommend exchanging a minimum of 50 Euros. This way you can at least get off the plane and pay for your taxi or get a bite to eat and not have to worry about finding an ATM machine or exchange rate office. Most people who work in foreign exchange can’t predict the rise and fall of the Euro so don’t bother trying to beat the market. Maybe one acceptation would be if your home country’s currency goes through drastic swings than maybe you would want to buy when you currency is high. With that said for those in the U.S., Canada, Great Britain, Australia, and any other county with a stable currency you would put in a lot of time and effort to play the exchange market for a very small gain. Be extra careful with your wallet, purse, backpack, or whatever you use to carry your money. While Spain is an extremely safe country with very a low violent crime rate, pick pocketers are prevalent in big cities and tourist areas. They are primarily looking for Euros. Like visiting any big city in any part of the world one needs to take extra precautions. Men, put your wallets in your front pockets or better yet get one of those purses that go on the inside of your pants. Women bring a pocket book/purse that is more practical as you are an easier target than men. I can speak from firsthand experience that my wife had her wallet stolen out of her purse that was zippered shut. Be sure when you travel to Spain that you leave all of non-essential items out of your wallet. It sounds silly but if your wallet gets stolen it is just one more hassle to have to get a new library card, gym membership card, or your home country specific department store credit card…so if it is not essential leave it at home. Be sure to have the phone numbers to all your credit or debit cards kept in a separate area in case your wallet is stolen. One idea might be to email yourself their phone numbers so no matter what the circumstances are you can get to those numbers. Should you have your wallet or anything of value stolen you can go to the police to report it. We did only so we could prove to the credit card companies that the cards were stolen should charges have been put on them. The police were extremely friendly; they had a phone number for us to call with an operator that spoke our language. Afterwards a police officer asked us a few questions and we were on our way. We were fortunate that all the criminal got was about 10 Euros. I say all this not to scare you from visiting Spain but to ensure that you have a wonderful time in Spain. Please remember that most of the places you will be going are cities and all that comes with any bigger city. Also, walking around with a backpack, map, ball cap, white sneakers, and a camera around your neck marks you as an easy target.